This gallery includes the gelatinous zooplankton – jellyfish, salps, siphonophores, comb jellies & other ctenophores, pyrozomes, etc. 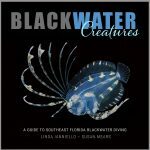 – that I have photographed during black water dives. Scroll down to see them all; click on any image to see it full-size and start the slide show.